#insideout : Fashion Revolution Day, Who Made Your Clothes? I had mixed feelings prepping and writing this post. I had the pleasure and pride of pulling out a stack of home sewn outfits, many more than last year. And then I had the reason lots of people are posting their handmade wardrobes online for Fashion Revolution day: the death of over a thousand people when the Rana Plaza building collapsed. Garment workers; mostly women, were the main casualties. Only one day before, cracks had been reported in the building walls but workers had gone back into the building to fulfil contract orders that were due. Its an unbearable loss of life, even worse in the name of cheap high street clothing. 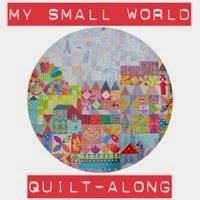 For Fashion Revolution Day: Handmade, the question is "Who made my clothes?". I make most of mine and continuously aim to make more. Why? Primarily its not for ethical reasons- I just love dressmaking. 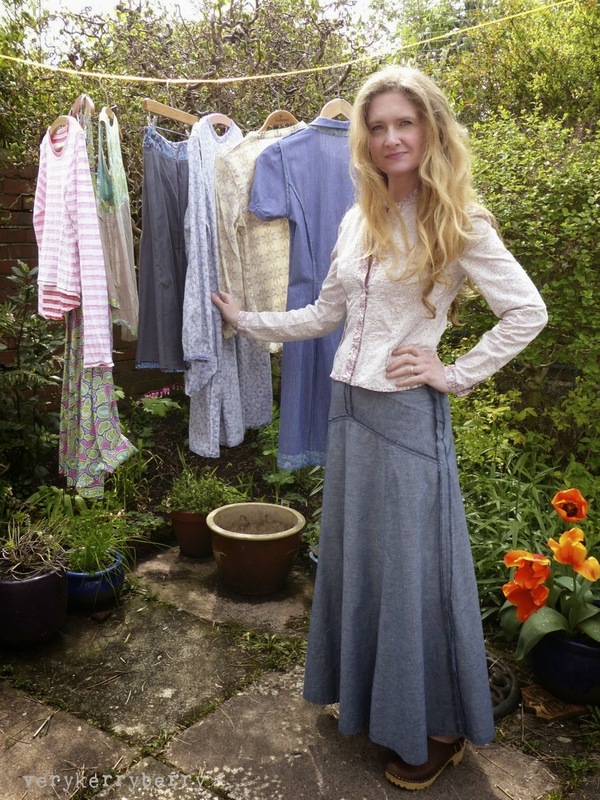 I've made clothing since I was in my teens and the older and fussier I get about styles, itchiness, fibres, sustainability, (it's a long list) the more I want to make for myself. I am also aware that by making my own clothes it takes me out of the cycle of wandering round the shops, trying on outfits with that mix of disappointment and self-loathing that only a changing room mirror on a Saturday afternoon can bring; away from the buying of stuff, stuff that I do not need or even want- if you have to make it, you consider much more deeply what you really need. I don't kid myself that it's a cheap option. Making your own clothes forces you to consider the true cost. 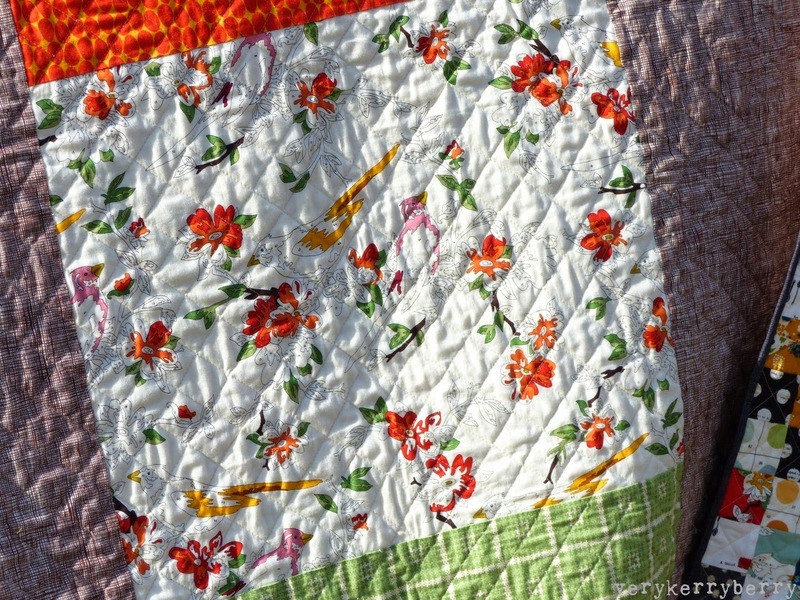 The effort, the time, the thread and notions as well as the fabric. 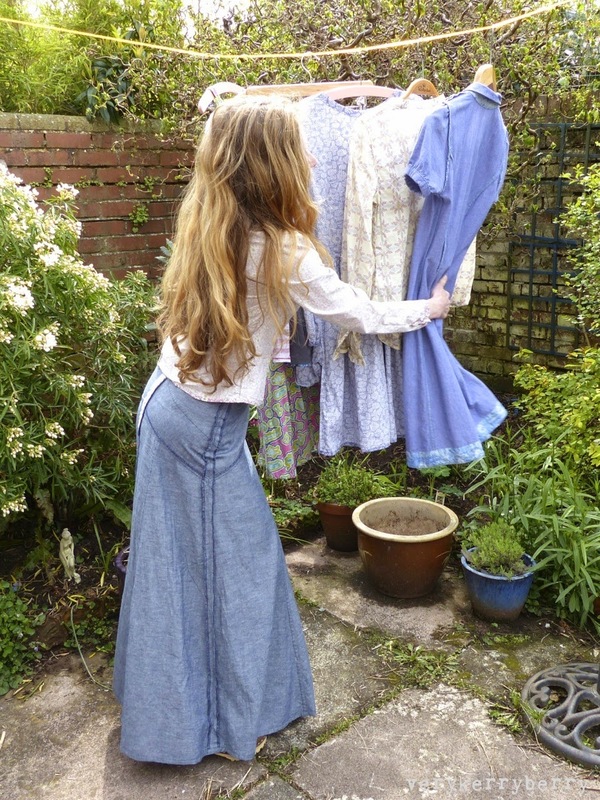 The mistakes too, the oddities that get sent to charity shops/given to friends/refashioned. I go through lots of thinking before I make clothes. If I've spent £40 on the fabric, I want to make something that works, that I will wear and will become part of my wardrobe. And at the end of the process, I truly love my clothes in a sentimental, hard-to-let-go kind of a way. They have their ups and downs, like the time when I cut out a whole circle skirt dress back with the grain going the wrong way (shh, it's in this photo, it was Liberty and I think I got away with it)- but I love them all the same. My wardrobe is my dressmaking journey- there are zips that took over three attempts to insert as well as necklines that worked first time. There are many items I made for particular occasions- meet ups, weddings, sew-alongs- they tell my dressmaking narrative. 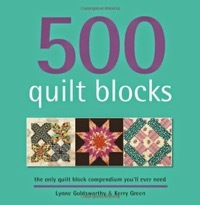 I was lucky enough to be sent one of these from Aurifil when Lynne and I wrote 500 Quilt Blocks. I don't get sent a huge amount of stuff sent to me like this and this is one of the best things I have ever received. I have about half the box left and all the spools are 50wt. 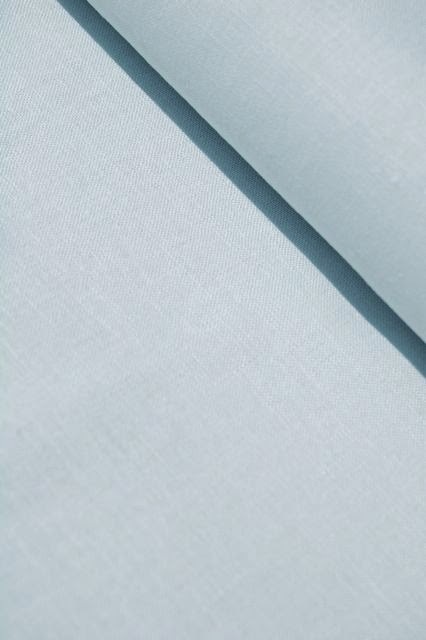 The colours are the best kind of neutrals that disappear into the fabrics. 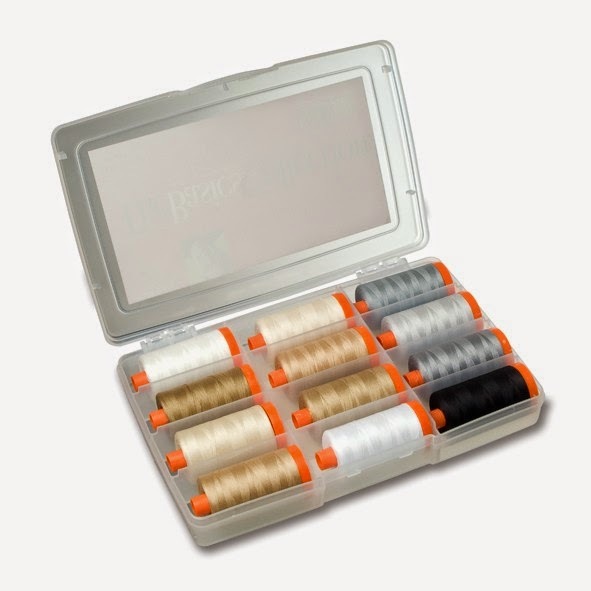 Its not a cheap gift but actually good value (individual spools are usually £8 each and there are 12 in this box) and maybe the sort of thing to hint for when your birthday is just round the corner. You can find individual Aurifil spools here. 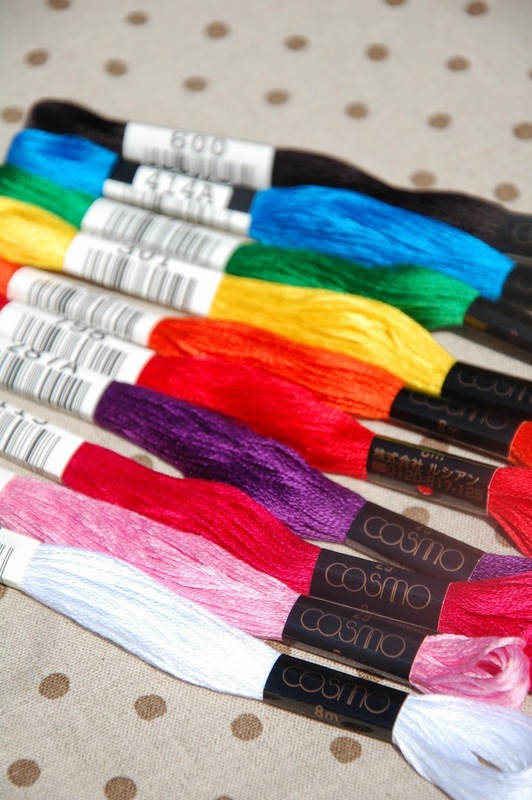 For those of you who like embroidery, Eternal Maker have put together a rainbow selection of Cosmo embroidery floss/stranded cotton thread. My daughter is a keen cross stitcher and I buy her Cosmo threads when I can as they have a beautiful lustre. 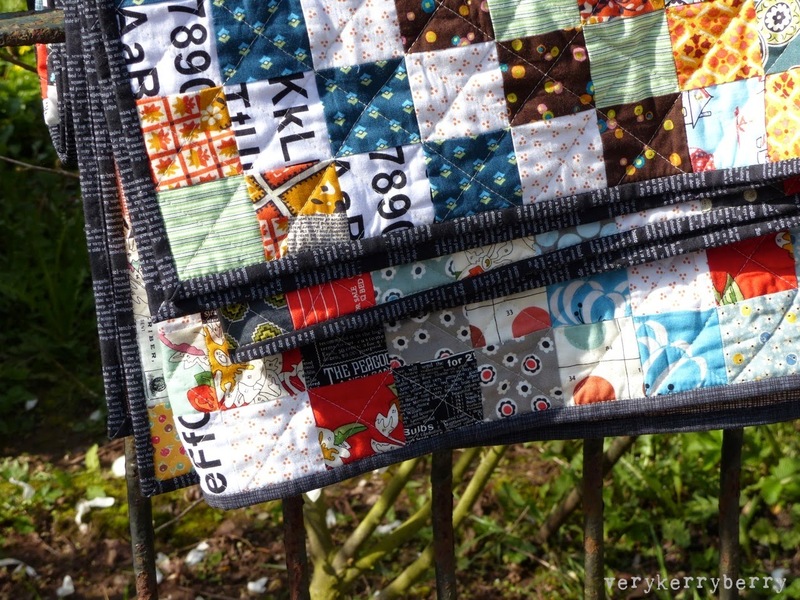 As with the Aurifil set, there are savings from buying a set, £10 for 10 rather than £1.10 each. 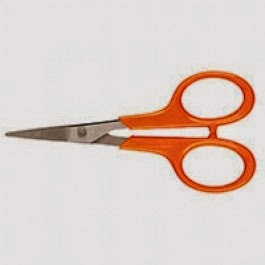 Scissors: it doesn't get more basic than that. 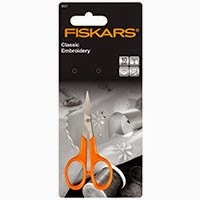 These Fiskars embroidery scissors are much mentioned on Instagram and blogs as being the business- super sharp and very pointy and they also claim to work for lefties and righties, bonus! 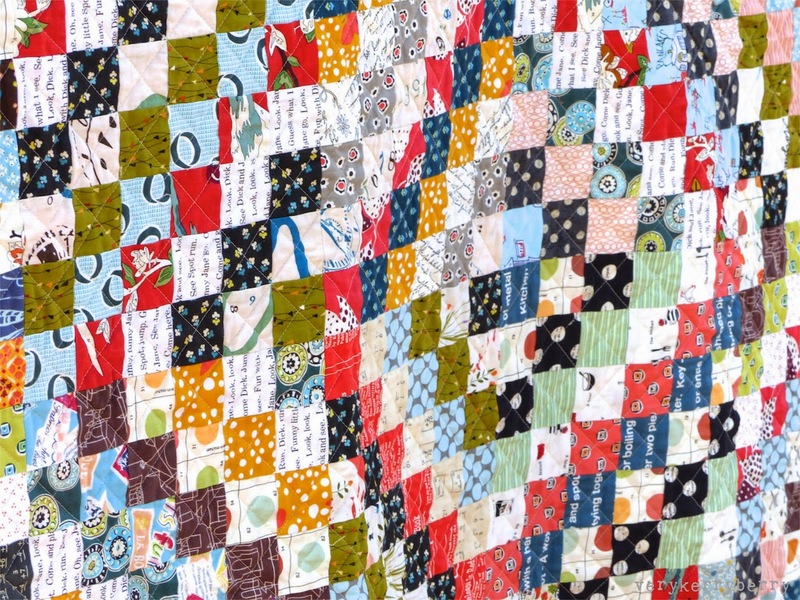 The rotary cutter is as essential a basic as scissors to the quilter and even the garment sewer. I have this Olfa cutter. I tried other styles of handle but the retractable blade model was by far the most comfortable. You can find blades,including pinking here although fresh stock is needed for the standard 45mm. 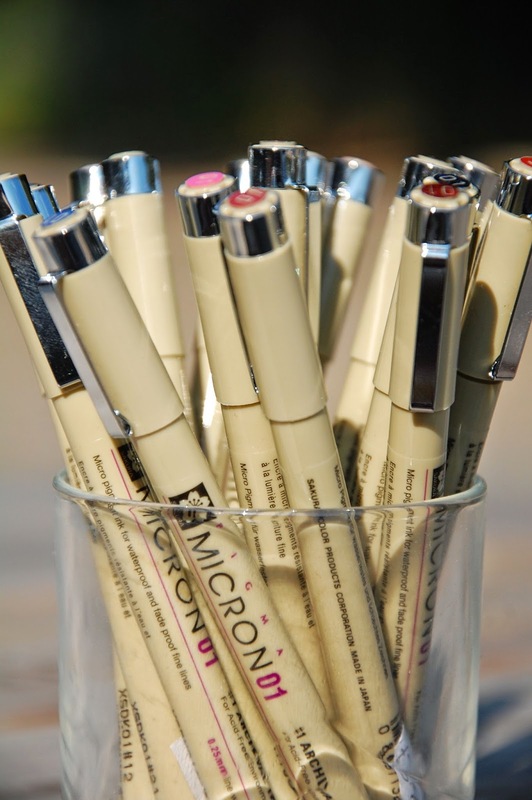 Pens- for notes, permanent marks, writing on fabric- its hard to beat Pigma Micron. A 0.25 tiny nib, archival ink which is permanent on 100% cotton fabric so works for quilt labelling. I also use these pens in my notebook and diaries, different colours for ticking and listing (the habits of a primary teacher die hard). 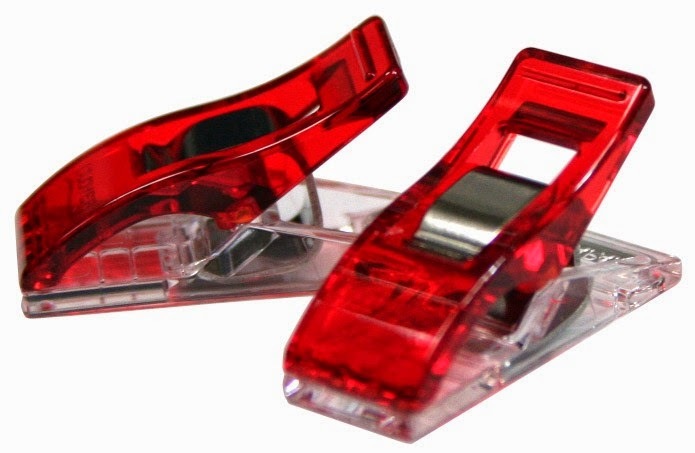 I know I have mentioned Wonderclips before, more than once, but they are so useful- every time I bind anything I appreciate the 'wonder' part. I use glue basting to as part of machine binding on my quilts and I find two packs of these provides enough clips to hold sufficient sections and remove some for the next glue bit! 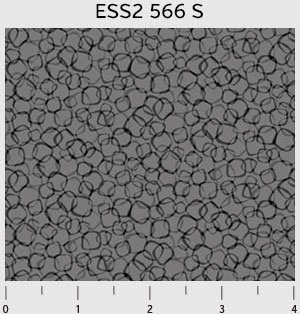 and you will also find the popular White, Stone and Ash. 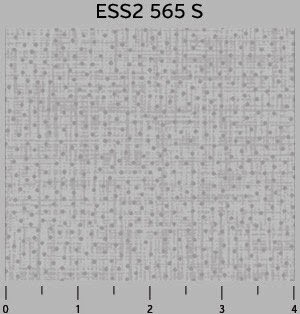 Moda Crossweave, this stuff has texture. 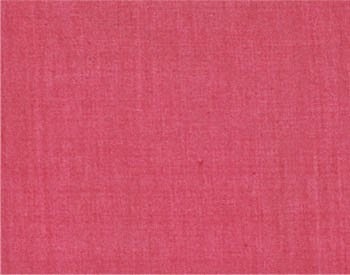 It does fray more easily, a little like linen but the effect of the fabric is wonderful. This is Flamingo. 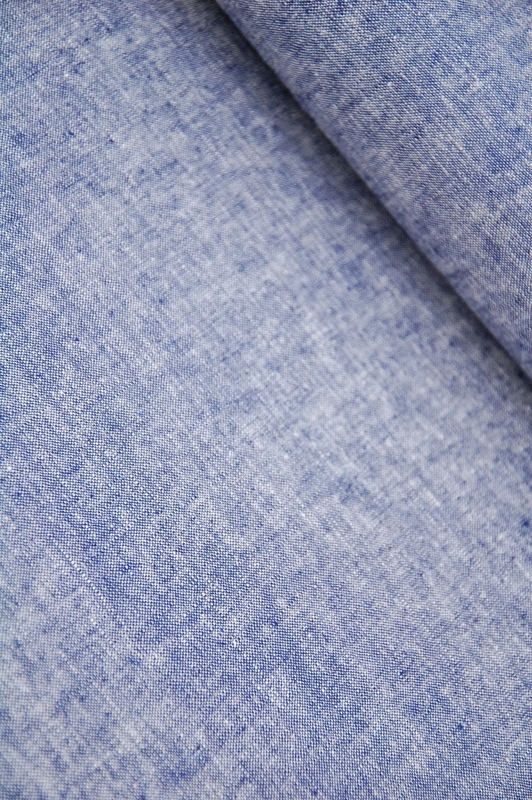 Essex yarn dyed linen which is wonderfully marled and drapes beautifully. I've used this a lot in bags and pillows and I think it works well with florals if you want to reduce the floral feminine effect and similarly well on more masculine items. 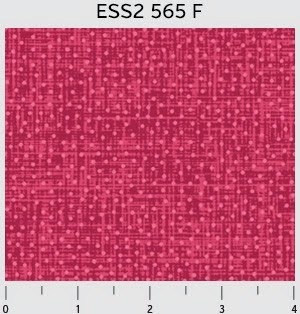 This is ' Essex yarn dyed Denim'. I have so many choices for my visit to Village Haberdashery this month. Let's start with Flight, now available in voile, interlock knit and canvas and flying out of the shop at speed- do you see what I did there ;) ? I have been waiting for the Flight in a knit and voile to arrive and ordered both straightaway. The knit was slightly different than I imagined. 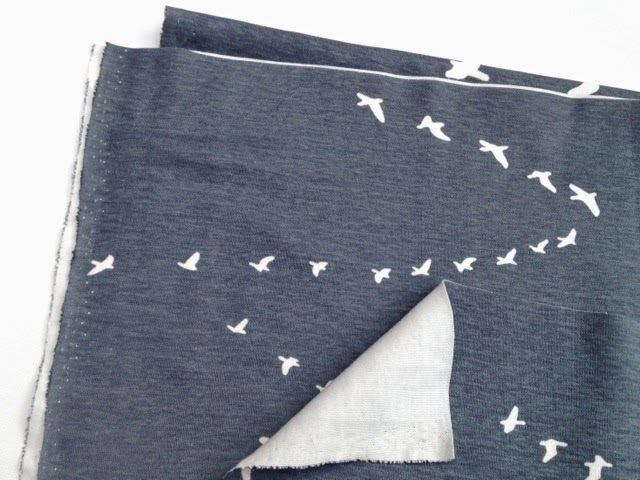 You can see the reverse of the fabric is off white (this is the 'Dusk' colourway- a dark slate grey with a hint of navy. It is an interlock knit and these are usually less stretchy than jersey and this interlock has less stretch or softness than I had anticipated even for an interlock so it would not be my first choice for a fitted long sleeved T shirt like a Renfrew. 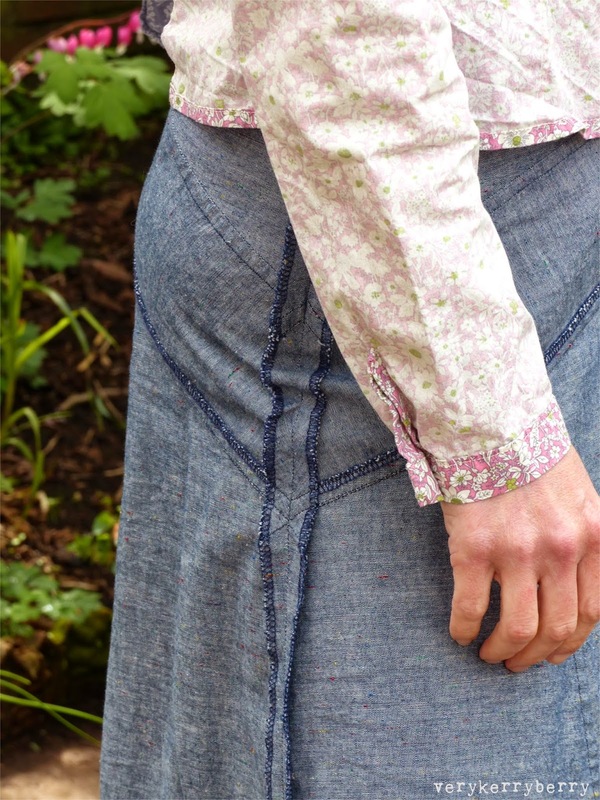 However, the plus side of an interlock like this is that it behaves more like a woven fabric when you cut and sew it- it has greater stability than a single jersey knit which tends to curl up at every opportunity and can be tricky to cut. So although this won't work for very stretchy shapes, it is perfect for jersey clothing that needs a little more structure- Tilly's Coco as a dress or top would be a great pattern for this fabric. I plan to make a little light summer jacket from a new Lisette pattern, Round Trip Simplicity 1419. I also ordered this in Juniper and it is totally and utterly lovely. It is another jersey interlock but much softer and with more stretch, although both are 100% organic cotton. The colour is amazing and the quality is sublime. Simply the best knit I have ever ordered! 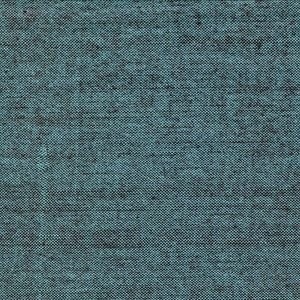 I have 1 ½ metres of this- its 160cm wide, and I know from previous experience than I can squeeze a long sleeved fitted T and some sort of short sleeved Briar top or similar. Tops like that are my everyday basics so I could not be happier and there are so many colours- stripes and solids- to choose from, I will definitely be back for more. Fabric manufacturers have finally realised that decent knit/jersey fabrics are hard to find and what many home sewers are looking for and so have included them in their new ranges. 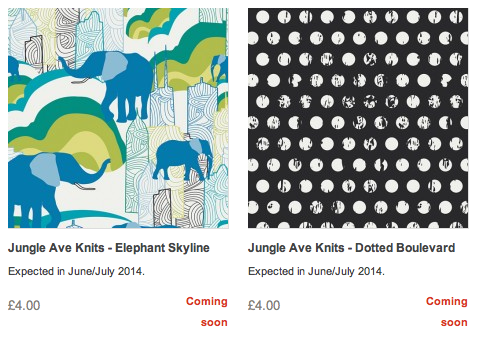 Art Gallery are leading the way with knits and voiles featuring alongside the silky quilting cottons in their new Limited Edition fabric collections- Sara Lawson's Jungle Avenue (coming in July) for example. And Moneta, a simple dress with lots of customisation possibilities and a free download booklet for different neck line options. 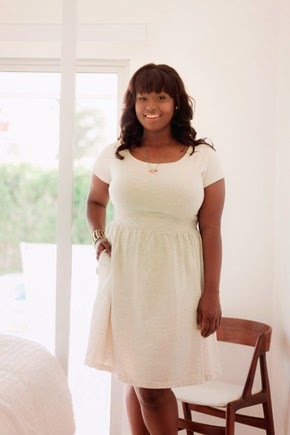 Colette has made a giant step with both these patterns to cover a far greater range of sizes (from XS to 3XL) and it is truly wonderful to see a leading independent company embracing what women want and who they really are. I especially like the Curvy Collective Blog Tour. I did notice with both these patterns jersey lining is part of the construction so you need to factor that in when you buy your fabrics and consider the type of jersey recommended for each pattern-there is a handy guide to different jersey/knit fabrics on Tilly and the Buttons. 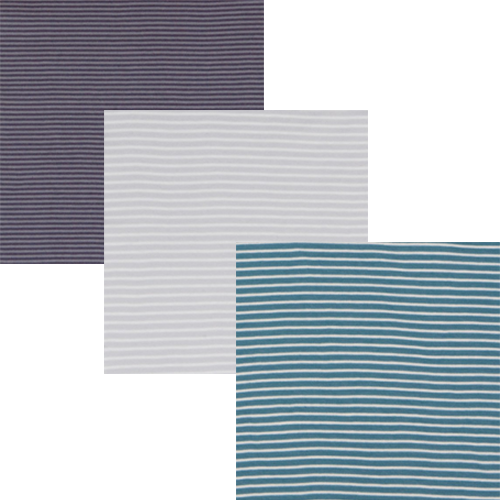 The striped and solid colour interlock knits have great potential for these patterns. Remember to always prewash knits and use the cycle that you would expect to wash the finished garment on. Sometimes I wash knits twice as there can be quite a lot of shrinkage. Dry flat if you can and avoid hanging over radiators to finish the drying off- the fabric overhanging at the radiator corners distorts leaving strange bulges in your fabric- I speak from experience on this! 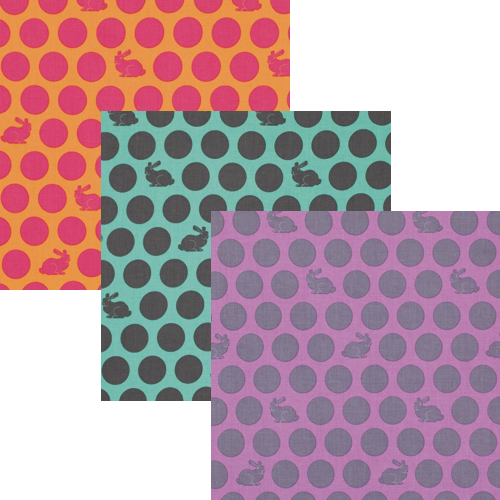 Back to quilting cottons, there are three wonderful fabrics from Tula Pink's new Fox Field range and very appropriate for Easter weekend, Hoppy Dot in Sunrise, Shade and Dusk. 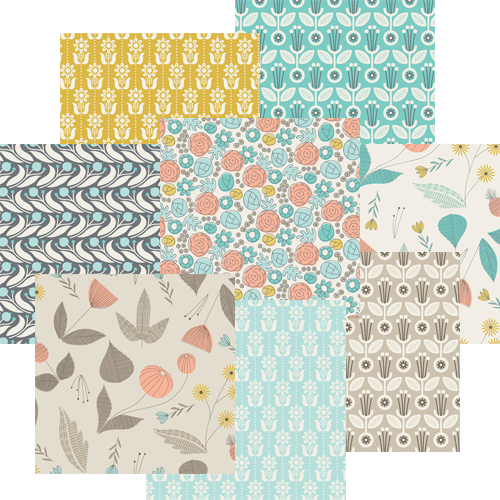 I am very impressed with the fabrics Cloud 9 have been producing recently, the Grey Abbey collection designed by Elizabeth Olwen is stunning- such pretty colours! You can build a bundle here. 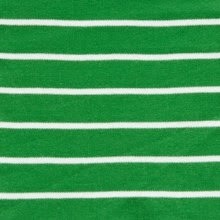 Thinking ahead for warmer weather, there are some new voiles which are wide at 142cm/56" and great value at only £10 a metre- perfect for the dress patterns that require 3 metres of fabric! 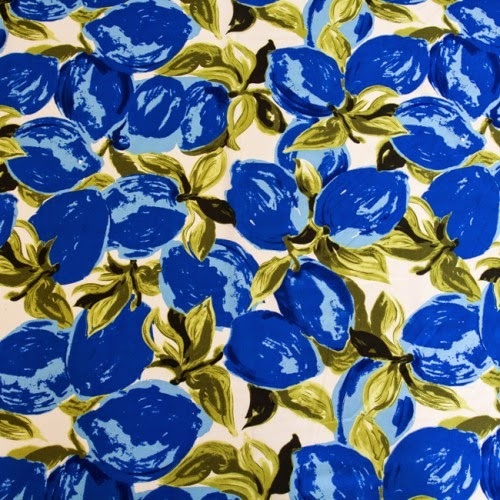 My favourite is this blue tulip print. If you prefer a more geometric print, suitable for menswear too (shirts?) 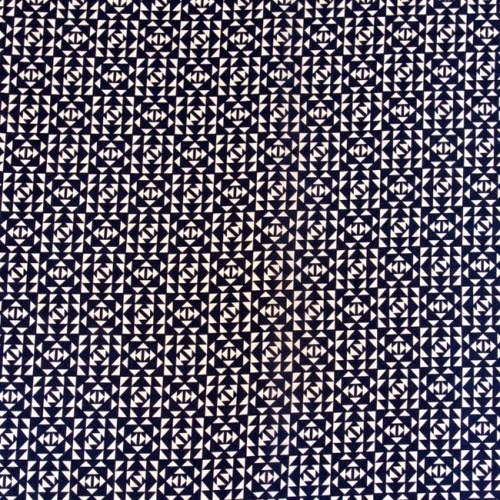 there is this triangle based navy voile. You can see the other prints here. 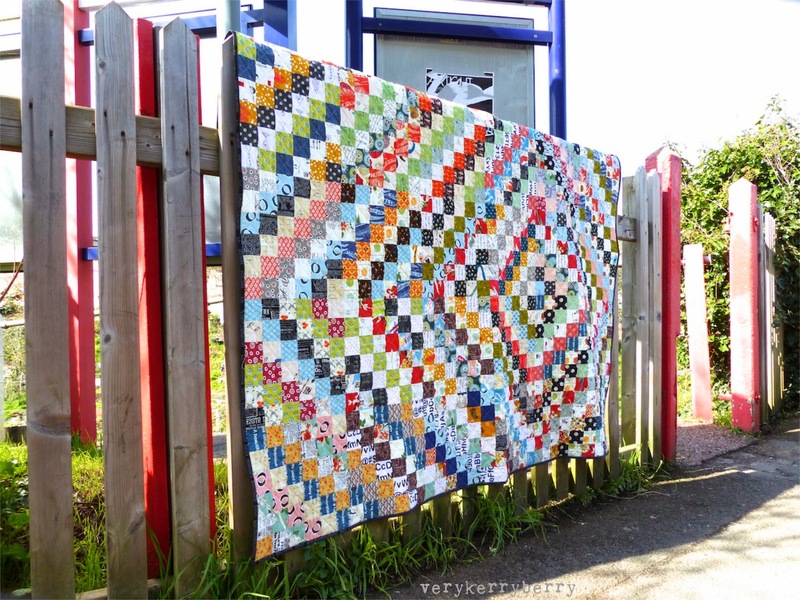 Wanting a quick fabric fix? 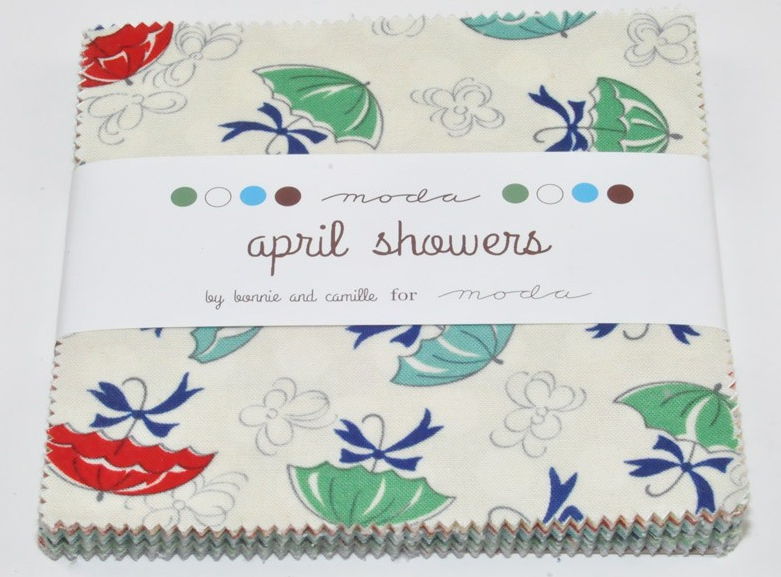 April Showers by Bonnie and Camille charm pack for Moda might just be what you are looking for? 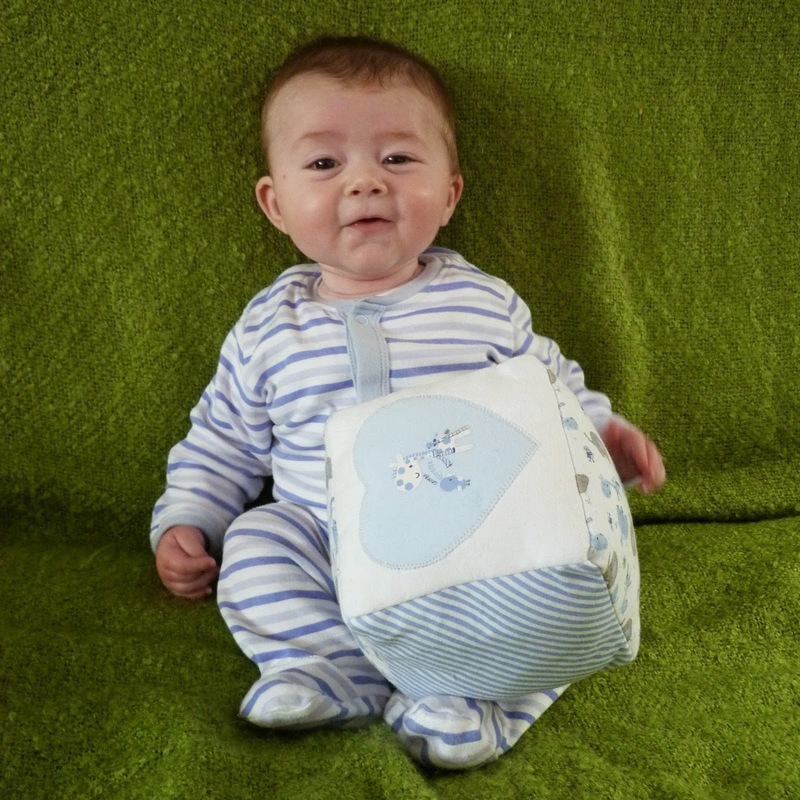 And for the cuteness, I could not resist the new Oliver and S Lullaby layette Set- adorable and great for making new baby gifts. 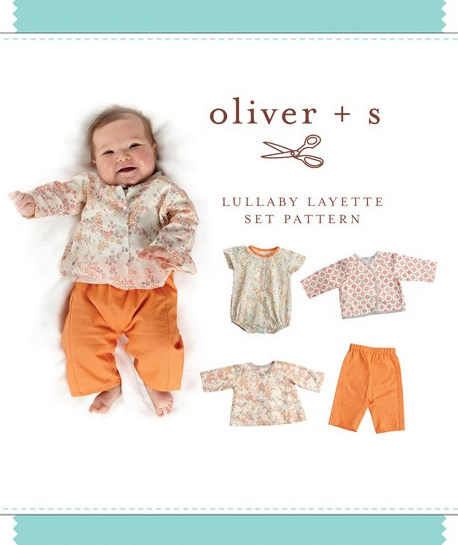 The layette outfits in the picture are made from the Cloud 9 Palos Verde voile collection. I have been friends with Chase for some time now. She's just one of those people that I really hit it off with and we regularly email each other about what we are making, our daughters, what's going on in our lives and try and support each other from afar through the tricky bits. Chase is a hugely talented and creative person. 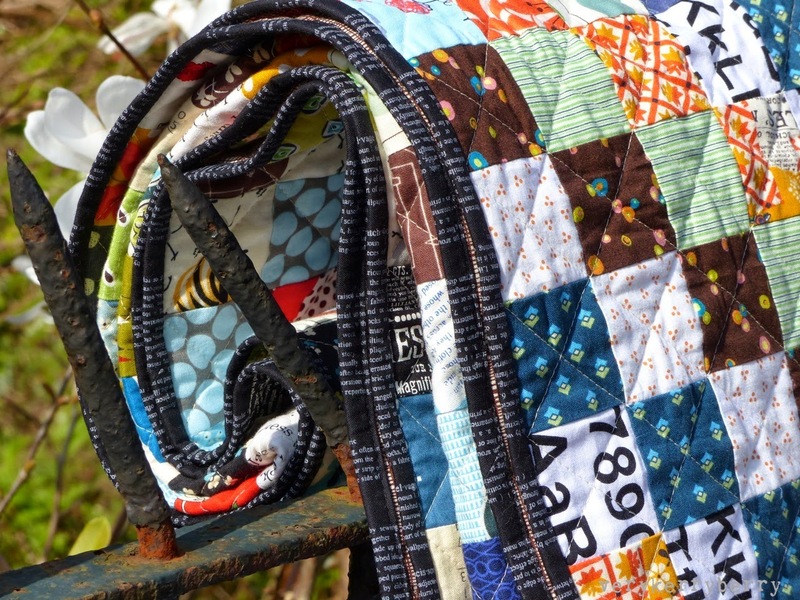 Her photographs are always beautiful and her patchwork and hand sewn quilting makes me want to reach out through the screen and feel the texture and stitches. 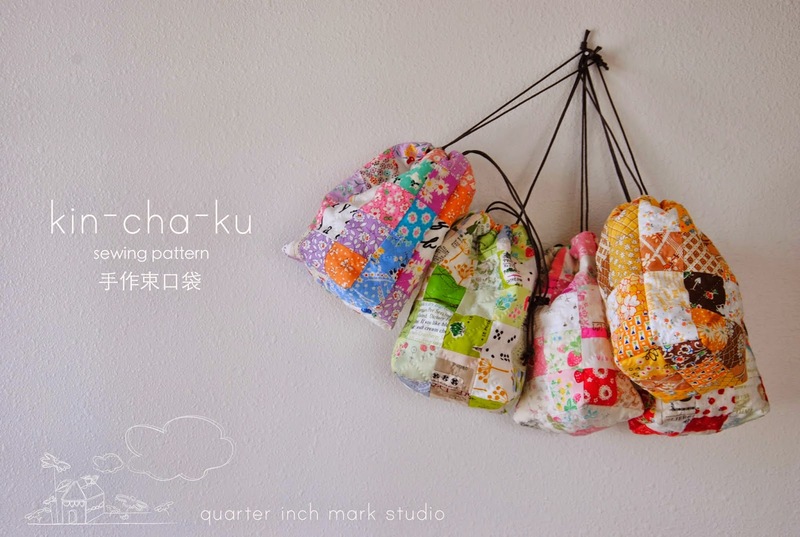 She has been working on a new project, quarter inch mark studio where she is selling a mix of PDF patterns and also ready-cut fabric sewing kits. Kin-cha-ku is her first and it's a beauty. A Kin-cha-ku is a traditional Japanese drawstring bag. She details all the construction in the pattern from fabric choosing, through all the method and finishing and you can hear her voice talking through each stage. Chase made we one of these last year and I like to use it for carrying hand sewing bits and bobs on train journeys as it stands on the fold down table and holds lots of little pieces easily. More patterns are on their way so keep a look out on her shop and blog. I recently had an email from Laura of Behind the Hedgerow, Abby of Things for Boys and Celina of Petit a Petit and Family, asking me if I'd like to take part in a blogger's version of a virtual flash mob on 24th April as part of Fashion Revolution Day. Read more about it here on Laura's blog. 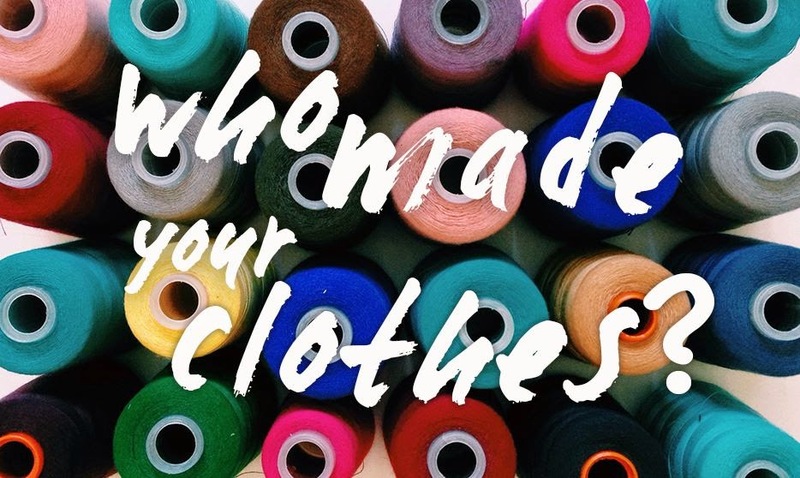 Fashion Revolution day is about asking the question, "Who made your clothes?". Its about thinking about the supply chain which is a provocative subject in itself, and raising awareness about a sustainable future within the fashion and clothing industry. A big task but encouraging debate and thought, even just your own individual ponderings has to be a good thing. 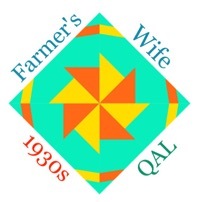 As crafters we are all aware of what goes into making an item- bags, quilts, etc and can apply that awareness to clothing. We must all be able to recall that uncomfortable feeling when we walk into a shop like Primark, and many others and see T Shirts for just £3 and wonder how can they be that cheap without exploitation somewhere along the way? Part of the reason I make my own clothes is to do with taking more responsibility for my own consumption of goods. 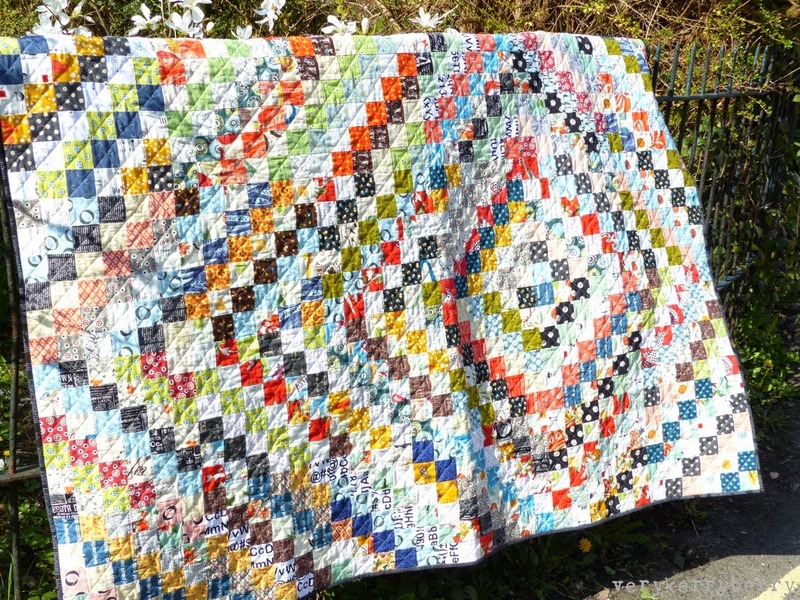 I do not claim any great ethical stance here, I know that the supply chain in quilting cotton is complex too but I know that I made most of my clothes and I had to think carefully about making each item, weigh up the cost, time, materials involved. I also still buy cheap stuff sometimes when my daughter needs stuff. Its all complex but we can still think about it and consider what we are consuming and whether we really need it. 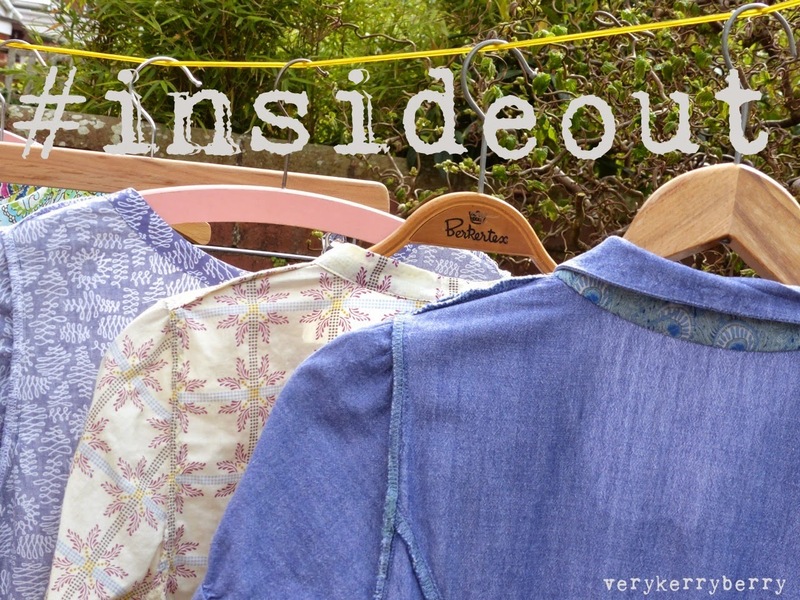 Taking part is easy: all you need to do is wear an item of clothing- be it handmade or otherwise- #inside out (hashtag for sharing), take a photo and share via blog, twitter Facebook etc. 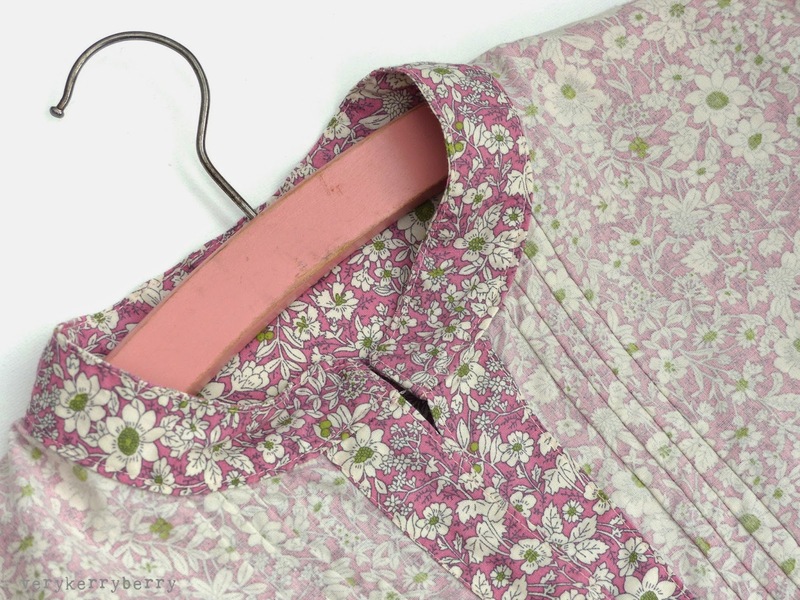 Handmade is especially welcome as one of the pleasures of sewing your own clothes is the attention you can give to the inside with a little floral binding or a contrast facing. If you only make clothes for your children you could always photograph an item of their handmade clothes inside out on a hanger. You can make your pledge here or just take part in some way on the day. Find out more here. And why 24th April? Its one year since the collapse of the Rana Plaza textile complex in Dhaka, Bangladesh where over a thousand people died and many more were injured. Enough said.